Four acrobats wearing clown masks break into the State Ordnance Depot, somersaulting over the barbed wire. They knock out Crayford (Michael Turner) and steal crates of FF 70/9 rifles. Crayford recovers - and asks to be hit again! He's knock out for good and the gang depart, leaving a mask hanging from the hole they've left in the fence. 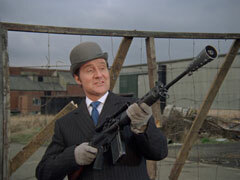 Steed and Tara investigate the scene and he remarks the rifle hasn't even been tested yet, not a shot fired in anger. He's wrong though - at that moment Conrad (Jonathan Burn) is chasing Smith (Joe Dunne) through the grounds of Stokely House. He shoots Smith, much to the pleasure of Adriana (Nicola Pagett) who is watching from the terrace. Some time later, Steed and Tara examine Smith's body, dragged from the Thames. Steed is given the bullet but is unable to determine if it came from the stolen rifles. He tells Tara to visit ballistics the next days, he's off that night to pay a covert visit to Colonel Nsonga, an ambitious African would-be dictator stymied by lack of arms. The co-incidence is too great to ignore. Col. Nsonga (Johnny Sekka) and his bodyguard, Giles (Roy Stewart), are discussing munitions with Adriana and Conrad. She lets slip they have some FF70s and Nsonga is greatly interested when Conrad informs him they have 3,000 of them. Steed sees them leave and bribes the lift attendant (Robert Gillespie) to let him in, and keep Nsonga at bay while he rifles the apartment. He finds wads of cash in the safe, and a presidential uniform behind the curtains, then departs just before Nsonga returns. Tara visits Professor Spencer (Timothy Bateson), who is testing the FF70 for Crayford. They check the bullet, Crayford taking the cover of Tara's firing of rounds to ring someone and warn them she's snooping. Spencer finally confirms it's an FF70 bullet - after 52 tests - and when Tara leaves she's attacked by a thug. She knocks him down and escapes, chased by Conrad and the thug, but she manages to run them off the road. Steed pays Nsonga a visit, hinting that he knows his plans and telling him he's become a buying agent for the President - buying guns. Crayford meanwhile is beside himself, as Conrad's men make off with boxes of ammunition in broad daylight. He spots Tara arriving at the depot and has a fit when he spots her red security pass. Conrad sends two men after her but she defeats them easily. Seeing this, conrad orders his troops to leave before the alarm goes off; Crayford tells him to make it look good, like last time - a violent attack. Conrad smiles evilly and cold-bloodedly shoots him. 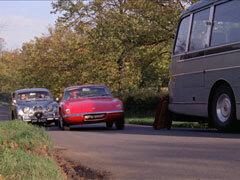 They escape in a Landrover and Conrad tells the driver, Brad (Peter J. Elliott), to drop him at his car - he intends to kill Tara, who has off for home. He tails her and enters her apartment, kidnapping her at gunpoint moments before Steed arrives. Nsonga examines one of the rifles at Stokely House and is eager. He's angered when Adriana announces her intention to auction them to the highest bidder and he accuses her of being in contact with John Steed. Adriana tells Conrad to find Steed and get him to the auction that afternoon. Steed, worried about Tara's disappearance, checks with his answering service and is summoned to Stokely House. Adriana greets him but Nsonga sends Giles to kill him. 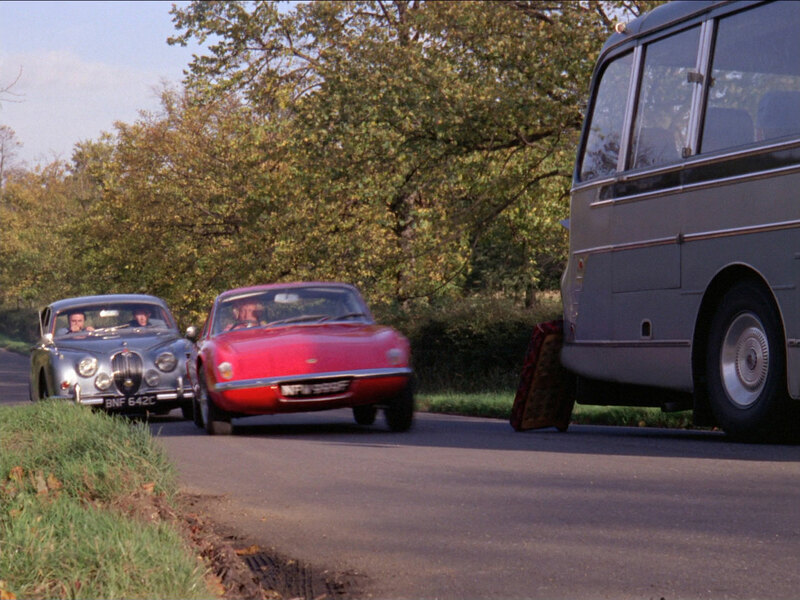 Steed is examining a diplomatic car parked near his when Giles approaches and draws a silenced pistol but he's killed by Conrad with the FF70. Conrad explains that Adriana likes the spirit of competition. 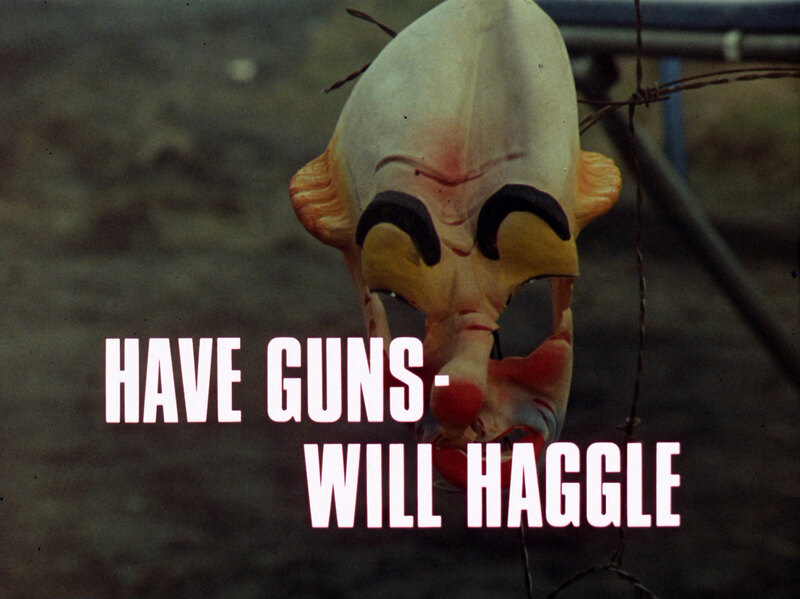 Steed returns to the house and hands Nsonga Giles' pistol. Nsonga smiles and offers him a reward if they join forces. Adriana announces the commencement of a series of demonstrations. First up, two mercenaries (Terry Plummer and another stuntman) march to the centre of the garden and rifles are placed an equal distance away from them in opposite directions. Once one of them is shot and killed, the next demonstration takes place, this time showing the versatility of the FF70 - Tara is facing Conrad. 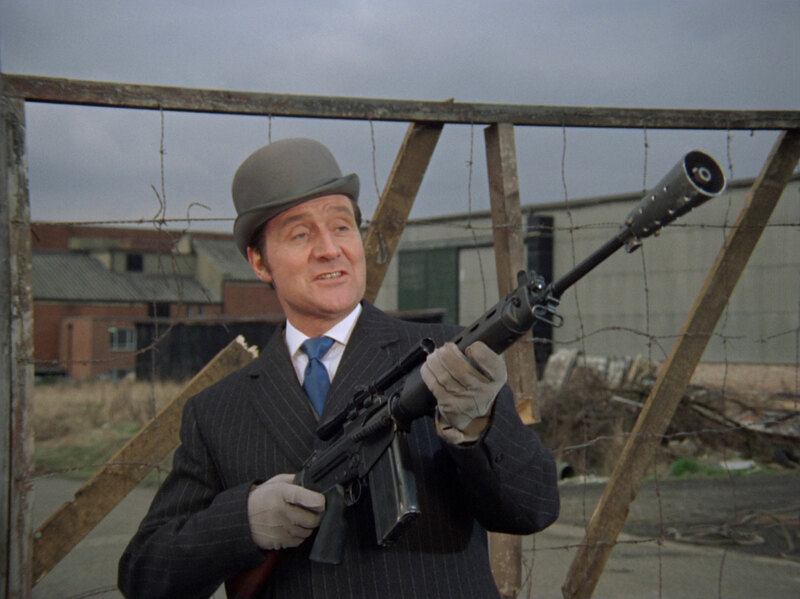 Steed grabs Adriana's bell and asks she call it off - he'll buy they weapons. Nsonga disagrees, so Adriana proposes to hold the auction immediately, the high bidder being given the option to see the demonstration if he wants it. Bidding if fierce, Steed ending on £250,000 but Adriana then tells him Nsonga made a deposit some months ago, so they've have now tendered the same amount. Nsonga produces another £53, but Steed can only raise £24 from his wallet and Adriana forbids them to start offering their watches. Nsonga wins the auction and orders the demonstration continue. Steed takes a station near Brad to watch and at the sound of the bell Tara chases after Conrad rather than go for her own rifle - she knocks him down and takes off when Adriana orders her killed - Steed hitting Brad's arm so his shots miss her. They both escape to the woods, Steed knocking out the mercenary who comes after him. He finds two more (Frank Maher and another stuntman) guarding a shed, whom he dispatches, then breaks into the shed. 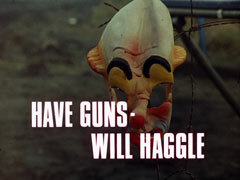 Inside, he finds the crates of guns and boxes of gellignite. He places some of the explosive between the crates and departs, unwinding the fuse as he goes. 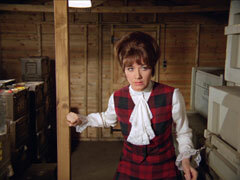 Moments later, Tara happens across the shed and enters, hoping to find Steed, but is captured by Conrad instead. 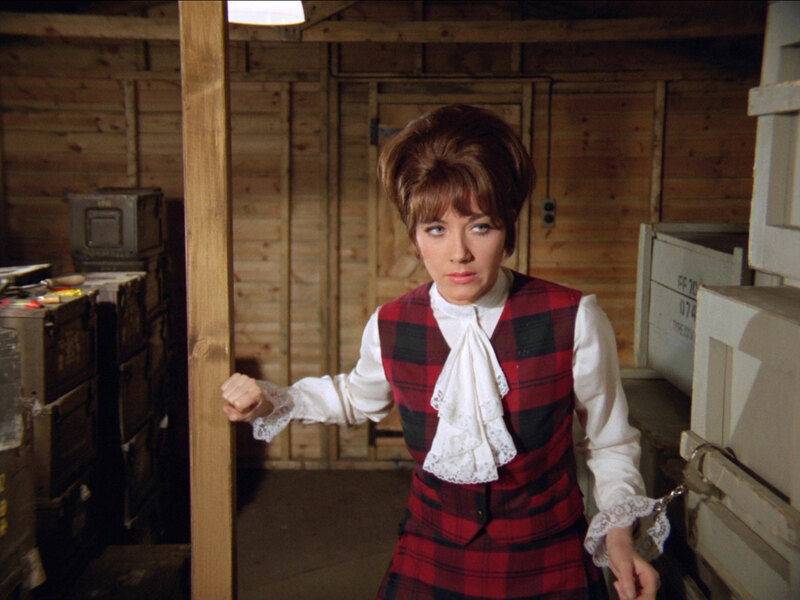 Conrad cuffs her to one of the crates just as Steed lights the fuse, then overheads Conrad tell one of his men he's locked her away. 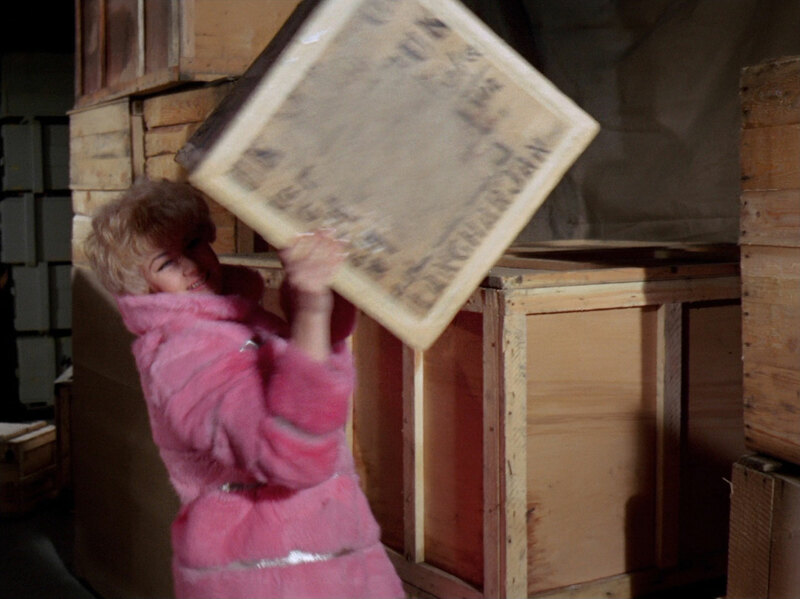 Steed follows the burning fuse, but has to snuff out Conrad before he can snuff out the fuse and he enters the shed, too late to reach it before it fizzles into the gap between the crates. He takes the pin from Tara's tartan and tries to pick the cuff, noting that the record in training was 32 seconds. Meanwhile, Adriana and Nsonga arrive outside, he gloating that in a month's time he will be President. Steed manages to free Tara and the shed explodes moments after they escape; Nsonga is killed by a piece of rifle hurled from the exploding armory and Adriana is left pondering the mangled rifle stock which killed him. Steed and Tara eagerly await the delivery of a gift from the President - from his country and of his country. Steed supposes it's a solid gold, jewel-encrusted clock, Tara hopes it's a chest of uncut diamonds. 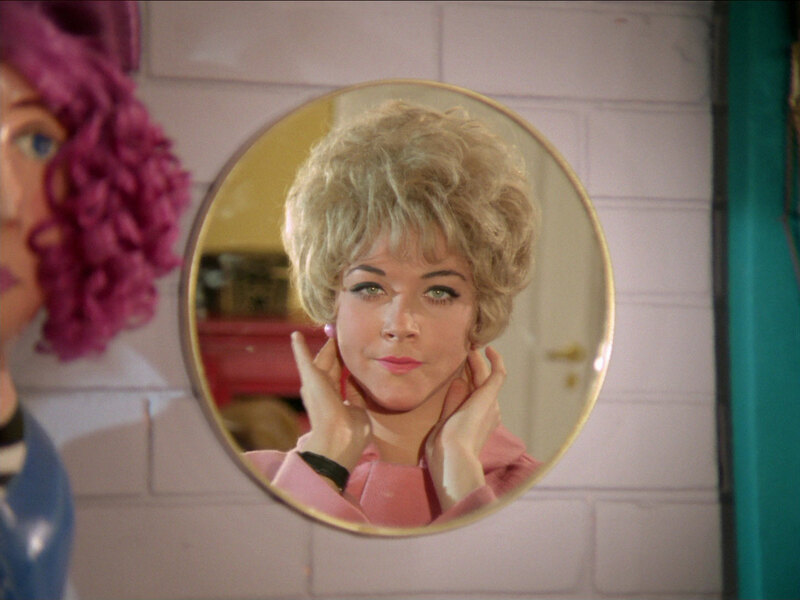 They're both alarmed when a lion is delivered to Steed's flat, and Tara burst out laughing.